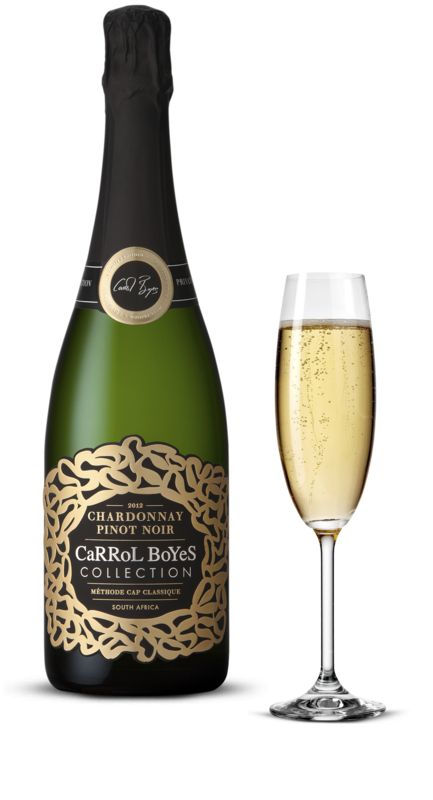 On the nose a delicate bouquet of citrus and summer fruit, makes the first appearance, followed by a dry and well balanced palate. 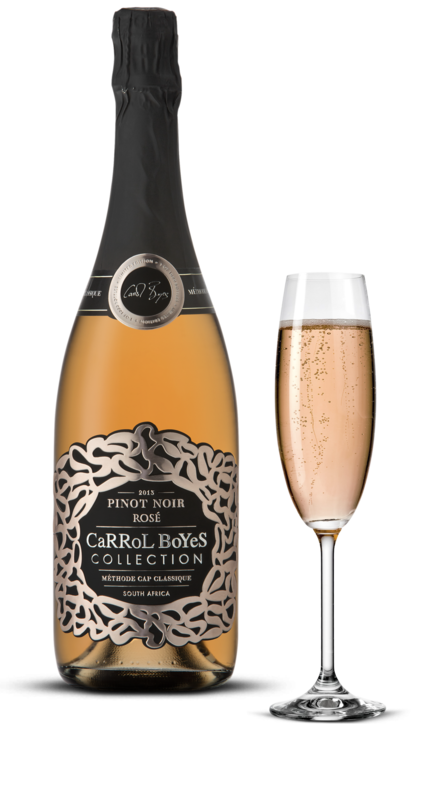 Tasting note: On the nose a delicate bouquet of citrus and summer fruit, makes the first appearance, followed by a dry and well balanced palate. Food suggestion : Ideal partner to accompany white meat, seafood and chocolate. 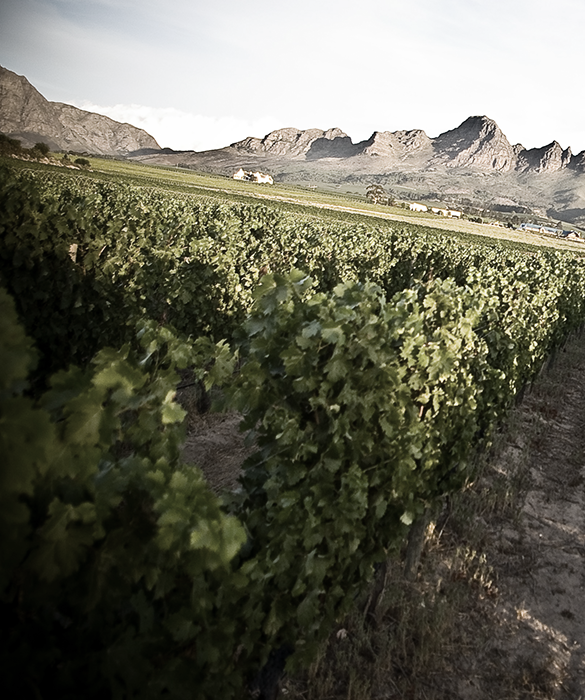 Selected parcels of chardonnay and pinot noir were carefully selected on the high slopes of Franschhoek. 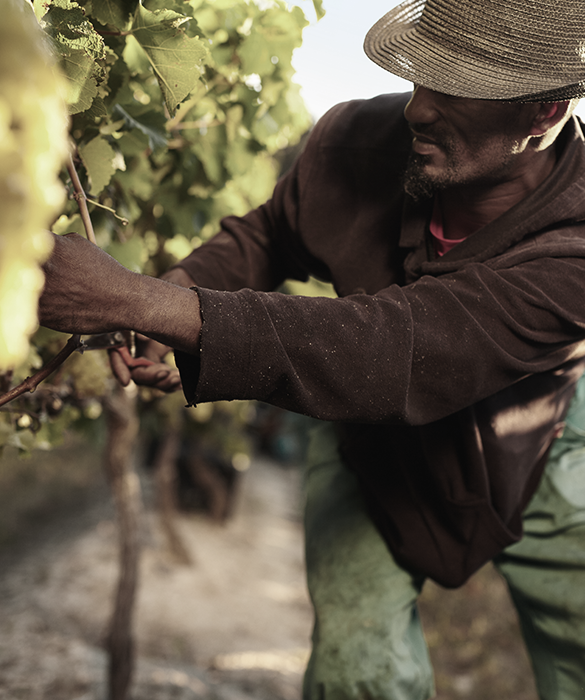 Only premium bunches of Pinot Noir and Chardonnay grapes are selected and hand-picked early in the morning to preserve their freshness, then carefully pressed in whole bunches to extract the optimum essence from the grapes. 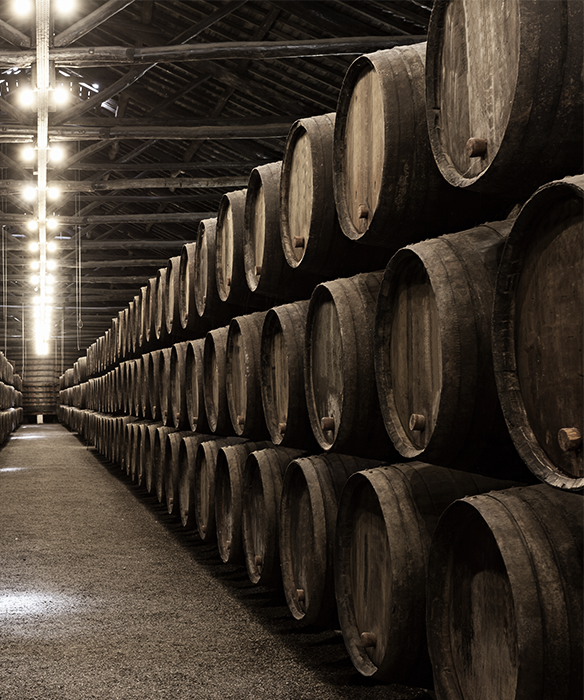 Once the grape juice has been fermented in French oak barrels and expertly blended it is bottled with yeast and sugar. The secondary fermentation process then begins, which is considered ‘the birth of the bubble’. 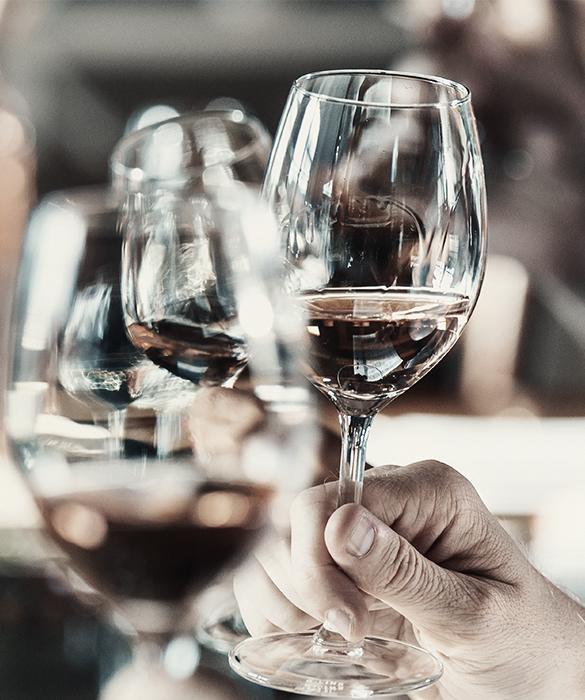 During this period, the yeast slowly uses the sugar and creates extra alcohol as well as releasing carbon dioxide, which then dissolves into the wine, forming elegant tiny bubbles. Once the secondary fermentation is complete, the bottles undergo ‘remuage’, a process of collecting the sediment created during the fermentation process, at the tip of the bottle, after which the tips of the bottles are frozen at -28°C, and opened, which allows the pressure generated in the bottles by the fermentation process to expel the frozen sediment, leaving the wine crystal clear. This process is known as disgorgement. 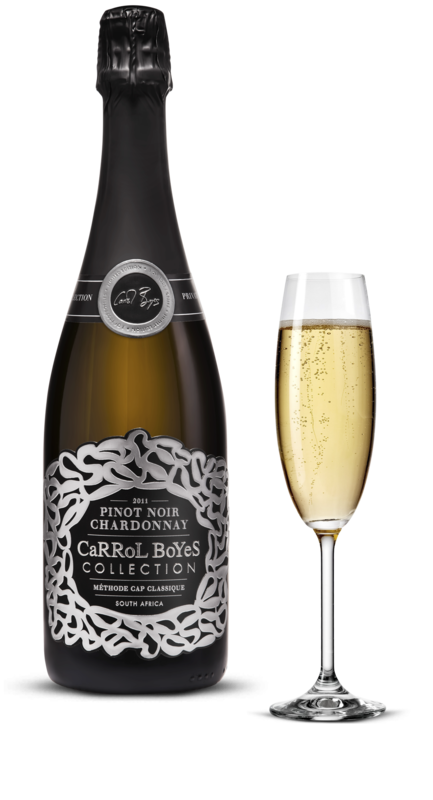 The Carrol BoyesMethode Cap Classique has remained on the lees for a minimum of 40 months, to create this elegant and sophisticated sparkling wine. © 2018 barnardt boyes pty ltd.